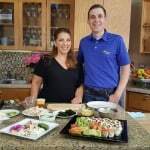 Try this recipe for Real California Roll Salad with Dynamite Dressing from KC the G-Free Foodie. You can double or triple the recipe for a platter that serves 3-5. I love sushi, and wanted to find an easy recipe to enjoy the flavors at home without becoming trained as a sushi chef – so I developed this Real California Roll Salad recipe, complete with Dynamite Dressing. I call it “real” because I use real crab – most fake crab roll has gluten – and fresh produce. I also use real picked ginger – not that funky stuff that’s been dyed hot pink. 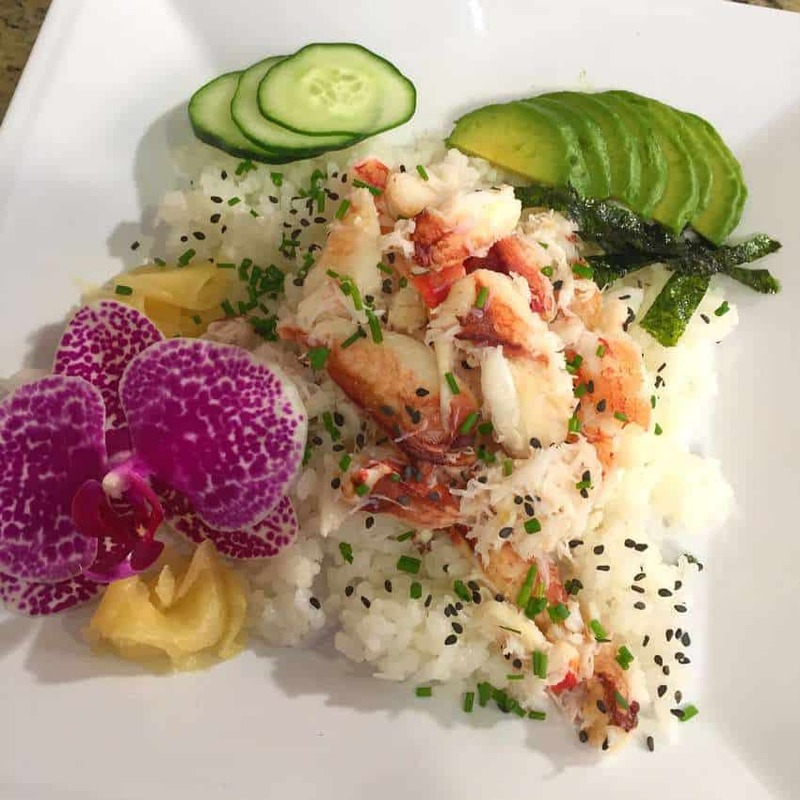 I shared this dish with Ryan Jacobsen, host of Valley’s Gold on PBS, in the Whole Foods Market kitchen for the rice episode of his show, and he loves it too! Ryan doesn’t like his food quite as spicy as I do, so I used about half of the wasabi powder I normally use. Feel free to play around with the dynamite dressing recipe – you can always use more or less of the wasabi and sriracha to suit your taste. The dressing isn’t just great on Real California Roll salad, it’s great for other salads, paired with shrimp, or as a glaze for roasted salmon. Place the rice on the center of a plate. Top the rice with the crab meat, and arrange avocado, cucumber, seaweed and ginger around the rice. Top the salad with sesame seeds and chives, serve with Dynamite dressing. Enjoy. Whisk all ingredients together in a medium bowl until smooth. Add more sriracha or wasabi if you prefer a spicier dressing.